Wild moorlands, hardy hill sheep and dry-stone walls spring to mind when thinking of Yorkshire. But England’s biggest county is incredibly diverse and in between these expanses of high country are green dales and river valleys with dramatic waterfalls, undulating farmers’ fields and wildflower meadows all edged by one of the most attractive coastlines in Britain. No wonder it’s been dubbed “God’s own country”. 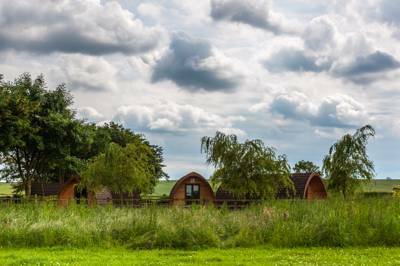 It’s a fantastic place for camping and glamping; there are some stunningly situated campsites in Yorkshire and we’ve sought out the best of them. 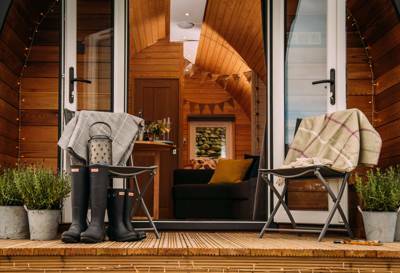 Whether you fancy a week-long pitch in the Dales, a weekend wandering the Moors or a cosy glamping getaway on the north-east coast, you'll find a Yorkshire camping or glamping site to suit you in the Cool Camping collection. If you’re looking for the best campsites in Yorkshire, it can be difficult to know where to start. This huge county in north-east England is full to bursting with destinations that offer near-perfect pitches. Should you go to the idyllic Yorkshire Dales and pitch your tent in a meadow next to a babbling brook? Or should you choose to set up camp among the dramatic landscapes of the Yorkshire Moors? Then there’s the beautiful Yorkshire coastline with its picturesque fishing villages, sheltered coves and sandy beaches. What’s for sure, is you’ll be spoilt for choice. Yorkshire claims two of the nation’s ten national parks and three of 15 national trails. These include some of the most scenic walking routes in England; the Pennine Way, the Yorkshire Wolds Way and the Cleveland Way as well as the popular Coast-to-Coast route which passes through the Dales and Moors. There are picturesque villages, market towns, former industrial sites, fascinating cities and seaside resorts to discover. Whether you’re going on holiday on your own, with friends, family or on a romantic break, you’ll find Yorkshire is a worthy place to head for. It’s got all the bases covered from adults-only glamping to family-friendly camping. There are sites you can take the dog to, places within walking distance of a pub and no shortage of pitches with enviable views. If you’re heading to Yorkshire to make the most of its wild and untamed countryside, there’s no better way to stay than in your own tent. When you’re camping, you can’t help but make the most of the great outdoors. From the moment you wake up and unzip the tent to the late nights around the campfire, you’ll be outside breathing in the fresh air as you drink in the views. 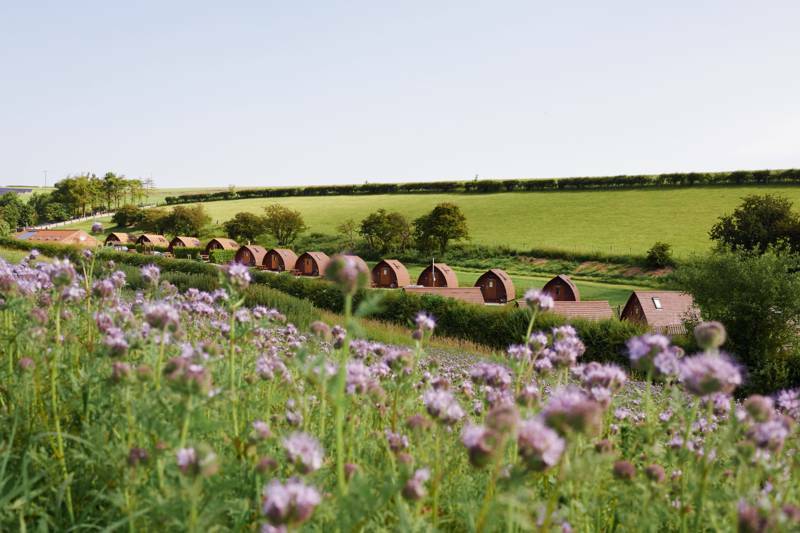 There are classic campsites by the Yorkshire coast and campsites in the countryside too. 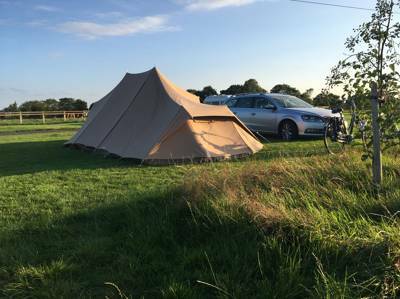 With an abundance of farmers’ fields in the national parks and rural Yorkshire, tent camping is a time-honoured way to stay here and many farms have a field or two where they have allowed back-to-basics camping for decades. There are tents-only sites and places where you can park up in your caravan or camper too, but rest assured, here at Cool Camping we only give the thumbs up to sites that we think offer something special. That doesn’t always mean bells and whistles (although it might); sometimes it’s as simple as a nice view or great location, a fantastic host or a friendly atmosphere. But it does mean that you won’t find large-scale holiday park-style sites where campers are an afterthought, tucked among static homes and chalets. We prefer independent sites which give prime pitches to tent campers too. If you’re the kind of camper who considers untangling guy ropes and pushing pegs into the ground a necessary hurdle rather than part of the fun, why not forget pitching the tent altogether and try glamping instead? You get to enjoy the freedom of camping without any of the faff. Glamping is great for those who like the idea of a holiday in the great outdoors but just can’t live without the hair straighteners or the comfort of a proper bed and it’s a good way to test the waters for first-time campers too. 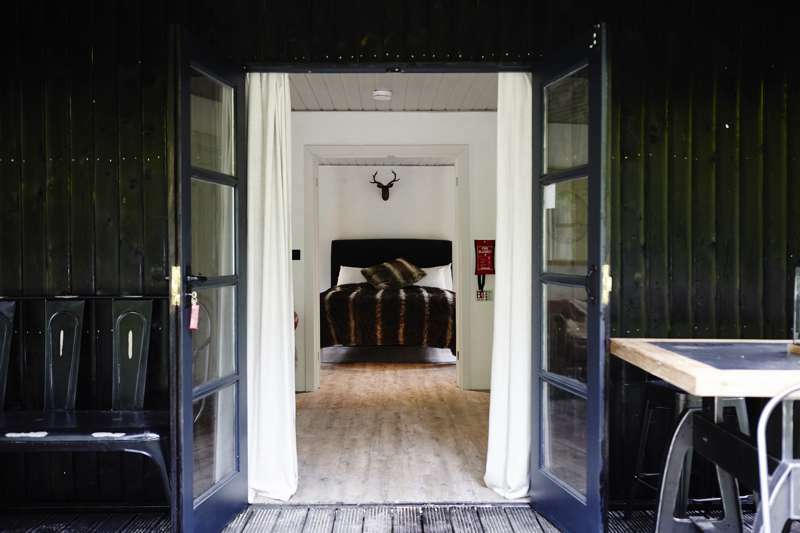 The world of glamping is ever expanding and there are endless accommodation options in Yorkshire and the rest of the UK. You can choose to sleep under canvas in a tent that’s been pitched for you or go for something a bit more substantial. Bell tents, tipis, yurts and safari tents are all popular options on glamping sites. Some will be simply kitted out and some will have luxurious touches to make your stay as comfortable as possible. If you’re not quite ready for canvas and like the idea of a solid roof overhead in case of bad weather, how about a cabin, shepherd's hut or gypsy wagon? Then there are the truly quirky options; vans and cabins with vintage appeal, restored and converted vehicles, treehouses and more. But it’s not all retro-chic, there are modern options too, many of which make use of the latest design and technology to create unique spaces that are often eco-friendly too like geodesic domes and camping pods. Yorkshire’s coast includes quaint fishing villages and coves, sandy beaches and seaside resorts. With so much variety, whether its sandcastles, smugglers’ tales or sightseeing that you want from a trip to the coast, you’ll find it on this north-eastern frontier. Bounded by the River Tees in the north and the Humber to the south, Yorkshire has 45 miles of coastline – and more than half of it is within the North York Moors National Park, known as the North Yorkshire and Cleveland Heritage Coast. The Cleveland Way National Trail takes in this beautiful section so makes a great path to join for walks on the coast. The full trail route also goes inland to the Moors and extends for more than 100 miles, so represents a great challenge for walkers and runners who fancy a multi-day trip. 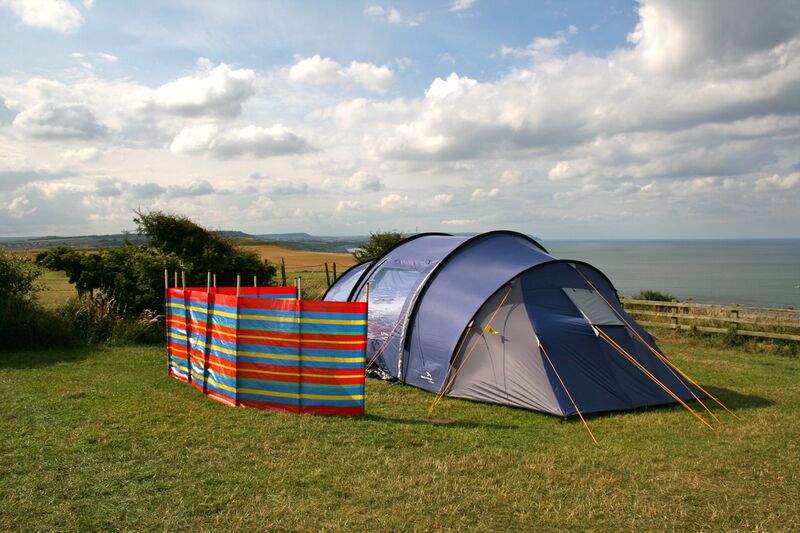 There are lots of fantastic campsites near the Yorkshire coast, including some which are right on the shoreline or cliff top with views of the sea. Whether you choose camping on the Yorkshire coast or are exploring the county’s hinterland, you’ll be missing out if you don’t spend at least a day on this beautiful coastline. Where you head for will depend on your idea of the perfect coastal location. There are traditional resorts like Scarborough, Filey and Hornsea – perfect places for a day at the seaside complete with fish and chips, bucket and spades and ice creams. If you like the idea of wandering harbour towns with cottage-lined cobbled streets, look for campsites near Robin Hood Bay, Whitby and Staithes and if you prefer wilder areas, try camping near Spurn Head, a wildlife-rich expanse of sand managed by the Yorkshire Wildlife Trust on the far south of Yorkshire’s coast or the fossil-rich beaches of Yorkshire's own "Jurassic Coast". The 540-square-mile (1,400-square-kilometre) North York Moors National Park, in the north east of the county, is a mixture of heather moorland and woodland edged by a fantastic coastline of cliffs, beaches and picturesque villages. As the name suggests, it’s the moorland that is considered the most significant of these landscapes. In fact, it is the largest expanse of heather moorland in England – an internationally important habitat – making it a great place to spot insects, birds and rare plants. Of particular interest, to twitchers at least, is the presence of Britain’s smallest bird of prey, the merlin. But the skies are notable for another reason too – with little light pollution in the rural area, they are illuminated only by stars at night making the national park a great place for stargazing and, in our opinion, pitching a tent too. After days exploring, you can settle down outside your tent to enjoy the stars appearing overhead. Sutton Bank, Danby and Dalby in particular have been recognised as Dark Sky Discovery Sites. Sutton Bank is also home to one of the national park’s visitor centres and, by day, the ‘finest view in England’, according to the famous Yorkshire writer and vet James Herriot. Stand atop the Sutton Bank escarpment and you’ll have far-reaching views over the Vale of Morbray and the Vale of York. It’s a renowned mountain-biking centre too. And if getting the adrenaline pumping via pedal power is your thing, you’ll want to head to Dalby Forest too where there are trails for riders of all skill levels – as well as other adventurous activities including treetop trails. For gentler-paced days out in the Yorkshire Moors, you can explore market towns like Pickering, Malton and Guisborough; perfect places to call in at a tea room for a strong cup of Yorkshire tea or at a local pub for something even stronger. There are plenty of historic and heritage sites too including the atmospheric ruins of 12th century Rievaulx Abbey, the 18th century gardens surrounding Helmsley Castle and the North Yorkshire Moors Railway. On the other side of the county is Yorkshire’s other most famous landscape, the Dales. The Yorkshire Dales National Park is more expansive with more than 840 square miles (2,100 kilometres) falling within the park’s boundaries. It’s an upland area of the Pennines with limestone outcrops and beautiful dales, or valleys, in between; each with its own character. Swaledale, Wensleydale, Ribblesdale, Silverdale… even the names sound idyllic and with dry-stone walls, isolated farms and wildflower meadows the Dales don’t disappoint. Water is a constant presence in the region with rivers and streams running through the valleys and underground through a huge network of limestone caves too. 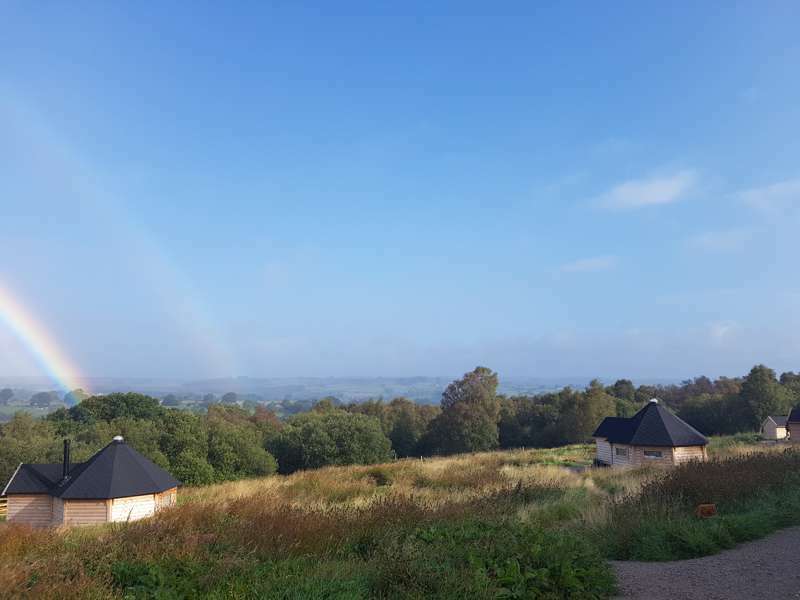 Like the North York Moors and the even-closer, Lake District National Park, this is a perfect place for outdoor lovers and therefore a great place for camping and glamping holidays. You can head underground to enjoy some of the best caving in the UK or stick to the surface to hike, run, mountain bike or horseride through its stunning scenery. Its ups and downs make it a great place for road cycling too and the Yorkshire Dales Cycle Way is a demanding 130-mile route for experienced cyclists but if you fancy an adventure on foot, the Yorkshire Dales has its own Three Peaks Challenge; to climb Pen-y-Ghent, Ingleborough and Whernside in 12 hours. But if that’s all too much action, for a more sedate way to see the national park, you can step aboard the Settle and Carlisle Railway and explore market towns like Richmond, Ripon and Pateley Bridge and idyllic villages like Grassington, Crosby Ravenstone and Orton. As if two national parks don’t offer enough natural beauty for Yorkshire, the county also claims part of the Peak District too. Britain’s first national park is mostly in Derbyshire and if you’re specifically interested in camping in the Peak District you’ll want to check out our dedicated pages. It was Britain’s first national park and continues to be a fantastic place for outdoor activity with caving, climbing, cycling and walking favourite activities here. Adventurers from all over the country having been heading to this inspiring part of the UK on holidays for decades so it’s no wonder that this area has some of the best campsites in the country too. For many people the moors and dales of the national parks in Yorkshire are reason enough to visit, but there are plenty more landmarks within this mighty county that you might like to take a peek at while in the area. The historic city of York, is one of the top destinations for visitors to the county and makes for a good day’s sightseeing with eclectic treasures from its Roman walls to its famous gothic cathedral, York Minster, and the family-friendly Jorvic Viking Centre. There’s another famous minster in the market town of Beverley which has a still thriving market between its medieval buildings. Malton, on the River Derwent maintains its reputation as a market town too by hosting a monthly food market that has helped seal the town’s reputation as a foodie hotspot. Yorkshire’s industrial past is remembered in the UNESCO-protected town of Saltaire which has a converted wool mill at its heart, once owned by the grandly-named Sir Titus Salt after whom the village is named. On the coast, the must-see spots include picturesque Whitby with its ruined abbey, said to have been the inspiration for Dracula, and seaside Scarborough for kiss-me-quick entertainment with amusement arcades and sandy beaches. 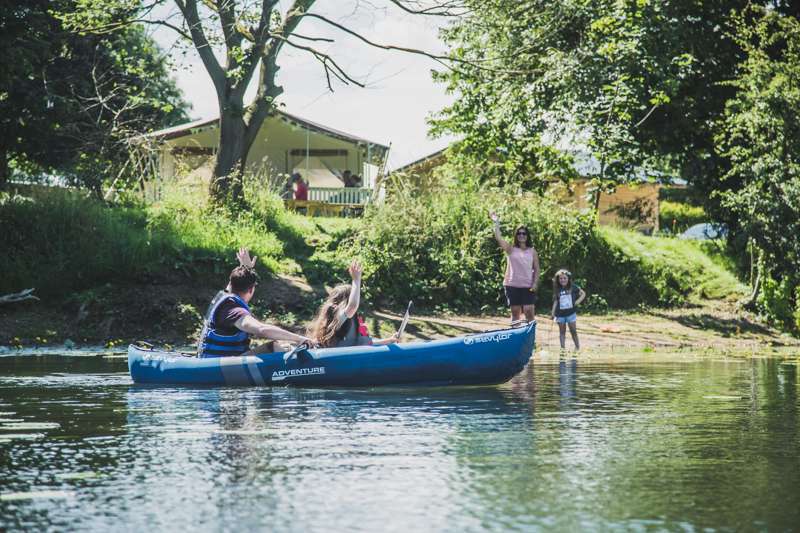 For more inspiration on places to visit during a camping or glamping holiday in Yorkshire, take a look at the Welcome to Yorkshire website. Yorkshire at Campsites in Yorkshire, Whether it’s pitching a tent or looking for a luxury glamping break, discover the best campsites in Yorkshire now with this specially selected collection from the Cool Camping experts. Read reviews, browse image galleries and book your next adventure in Yorkshire at the best price here.